On May 18, 2017, the world lost a musical icon when singer/songwriter/musician Chris Cornell lost his battle with depression and took his own life. The legacy he left behind, can only be summed up as, "Amazing!" Leading three bands, Soundgarden, Temple Of The Dog and Audioslave, Cornell was at every turning point in the development of rock music. In order to showcase all his musical talents, The Chris Cornell Estate is association with UMe released a career-spanning, four-disc, 64-track compilation titled simply "Chris Cornell." It was released on November 16th, and is also available as a single 17-track CD and double-vinyl LP. This set starts out with Cornell, and the early days of his Seattle-grunge band, Soundgarden. As you listen to the songs "All Your Lies" and "Loud Love," you will instantly recognize that Soundgarden were ahead of their time. The Seattle music scene did not fully catch on until 1991, and these early Soundgarden tracks helped build that strong foundation. The first disc continues with the more well-known Soundgarden hits like "Outshined," "Black Hole Sun" and "Spoonman," but not before a couple of well-known songs from the all-star Seattle band, Temple Of The Dog. The hidden gems are the Chris Cornell solo-acoustic song "Seasons" (from the "Singles" soundtrack) and his cover of "Hey Baby (Land Of The New Rising Sun)" (from the Jimi Hendrix tribute album "Stone Free"). The second disc starts out with some of Cornell's most vulnerable work, as his voice will just melt your soul on the simple acoustics of "Sunshower" and "Sweet Europhia." Then the power of Audioslave takes over as you rock out to "Like A Stone" and "Cochise," as this super-group breathed new life into the frontman. Some highlights from the second disc include the theme song "You Know My Name" from the James Bond movie "Casino Royale" and his delicate cover of Michael Jackson's "Billie Jean." The next disc includes some of Chris Cornell's team-ups with Slash ("Promise"), Santana ("Whole Lotta Love") and Joy Williams ("Misery Chain"). 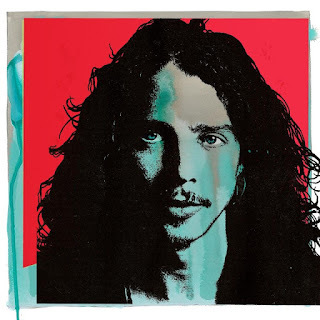 This disc also includes some of Cornell's more recent recordings, including emotional live acoustic versions of "Call Me A Dog" and "I Am The Highway" from his "Songbook Tour." This disc closes with a couple of soundtrack entries ("'Til The Sun Comes Back Around" from "13 Hours: The Secret Soldiers Of Benghazi" and "Stay With Me Baby" from "Vinyl"), along with the previously unreleased track "When Bad Does Good," which almost feels like a autobiographical piece, as Cornell sings his heart out on this slow-burning ballad. The fourth disc in this set is where fans will flock to as it contains a number of previously unreleased live tracks. Beginning with the Soundgarden cover of Black Sabbath's "Into The Void," you are in for a magical treat as each song just gets better and better. From listening to Cornell belt out the chorus of "Show Me How To Live" from Audioslave live in Cuba, to the honest, gentle touch of his solo acoustic version of Temple Of The Dog's "All Night Thing," this set showcases the purity in Cornell's vocals. His acoustic version of Prince's "Nothing Comperes 2 U" is just heart-wrenching, as is his duet with his daughter on the Bob Marley classic "Redemption Song." This set will only solidified the Midas touch that Chris Cornell presented to whatever he was a part of, whether it was in a band or just solo, Cornell was an icon and may his music live on forever in the hearts of his fans. 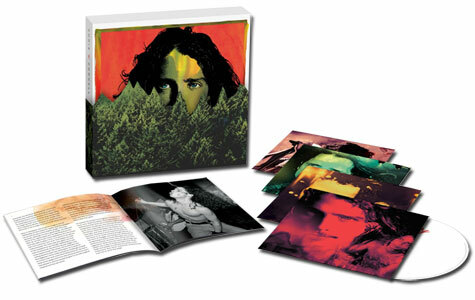 To find out more about this new amazing box set, please visit chriscornell.com.